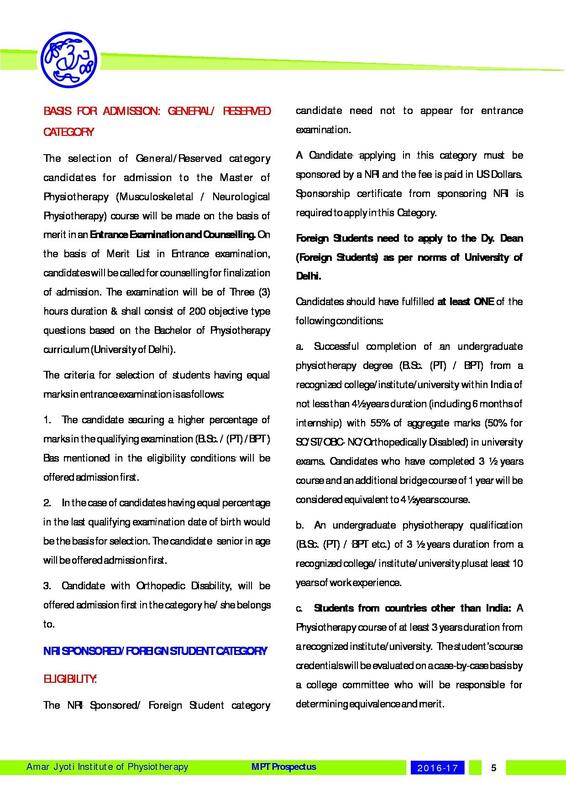 Founded in the year 1999, Amar Jyoti Institute of Physiotherapy, New Delhiis affiliated with the University of Delhi. 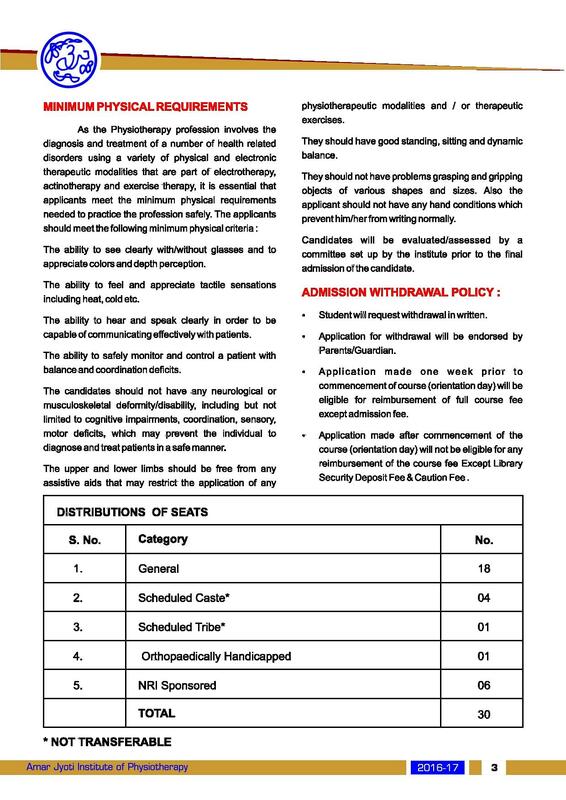 The institute is handling a Bachelor of Physiotherapy program that is of 4.5 years that includes six-month internship program too. The schedule progresses keeping in mind an ever-developing knowledge base that is held on scientific evidence. The teaching faculty at the institute are highly qualified and clinically oriented and uses a variety of modern dogmatic strategies that includes an astute mix of donnish and laboratory based instructional technique. 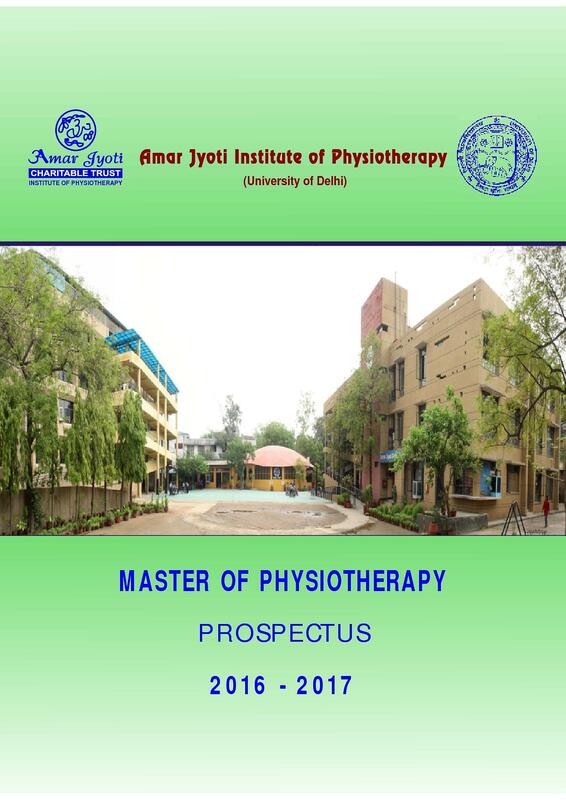 In its entire strategy to serve the health care needs of the society, the Amar Jyoti Institute of Physiotherapy has set in motion, the educational and training of Physiotherapy experts. 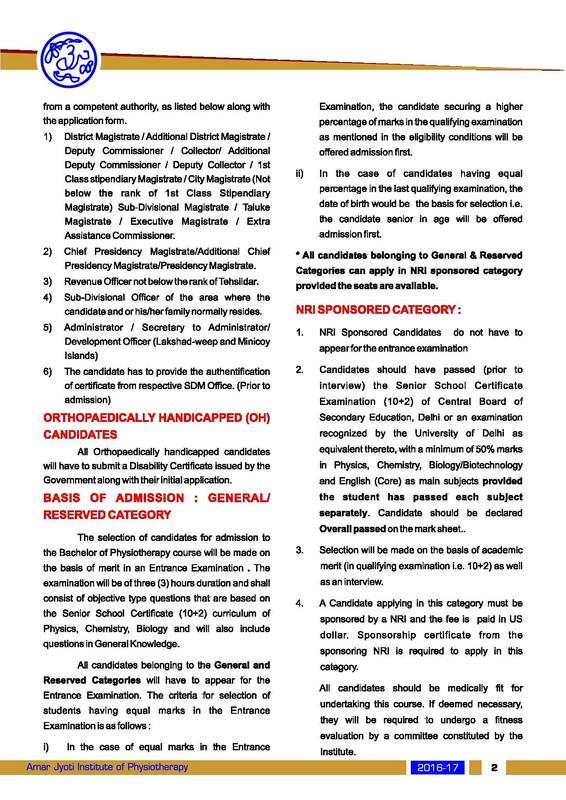 The primary and essential aim of the institution is to promote the healthy environment and good human health and function through the utilization of scientific principles to save, analyze, appraise, legitimate, and assuage conditions that arise as a consequences of various pathologies and movement flawed. The institution has constructed a surrounding that calls for investigation of teaching and learning process. 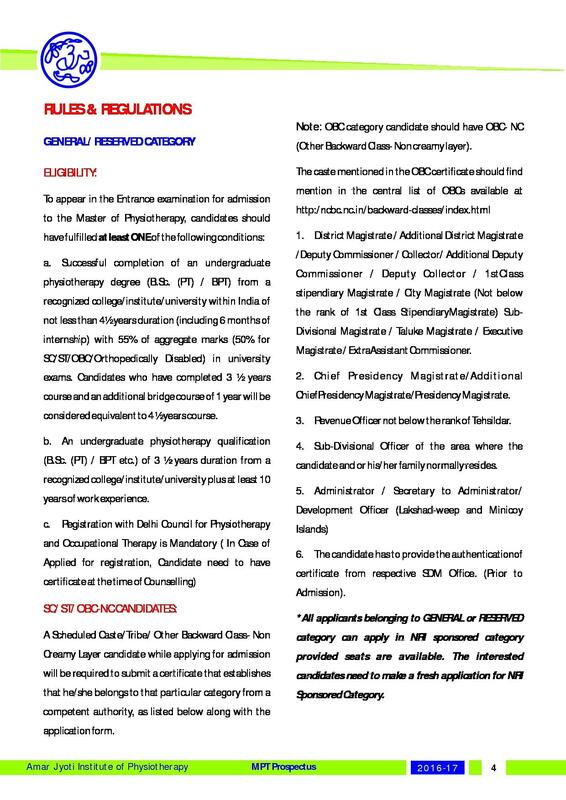 It exhibits proficiency as a clinical expert in which graduate will be complacent interpreting and enforcing the elements of patient management. It is located on the VikasMarg of New Delhi so can be reached by metros and taxis. 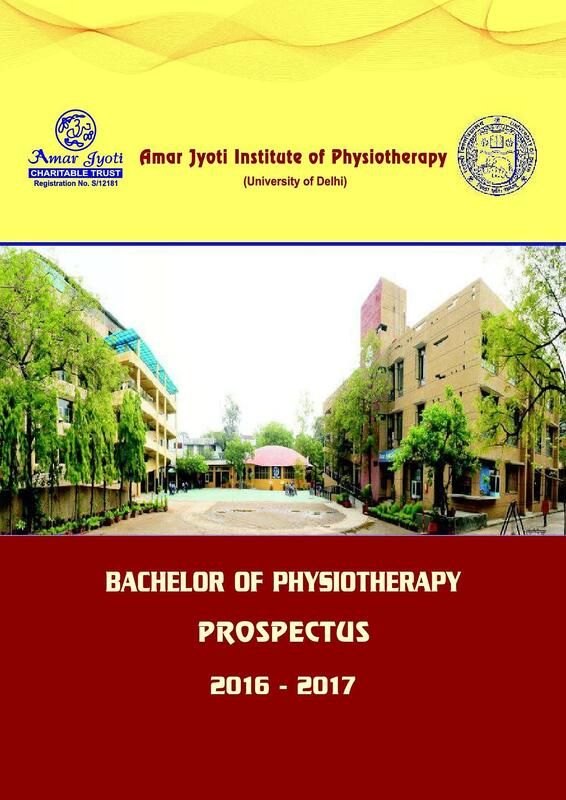 Why to join Amar Jyoti Institute of Physiotherapy? 1. 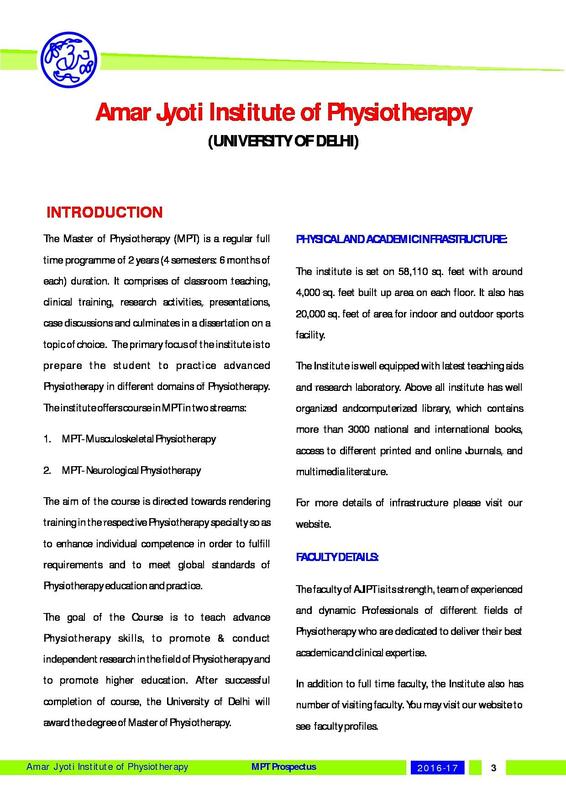 Unbeaten infrastructure: Amar Jyoti Institute of Physiotherapy has been modernized with thelatest technology and has every facility. The library of the college is equipped with all kind of books that is needed by the students. 2. Esteemed and distinguished faculty members: A variety of learning and teaching methods are hooked to impart knowledge and finesse to the students at the college and its various departments. 3. 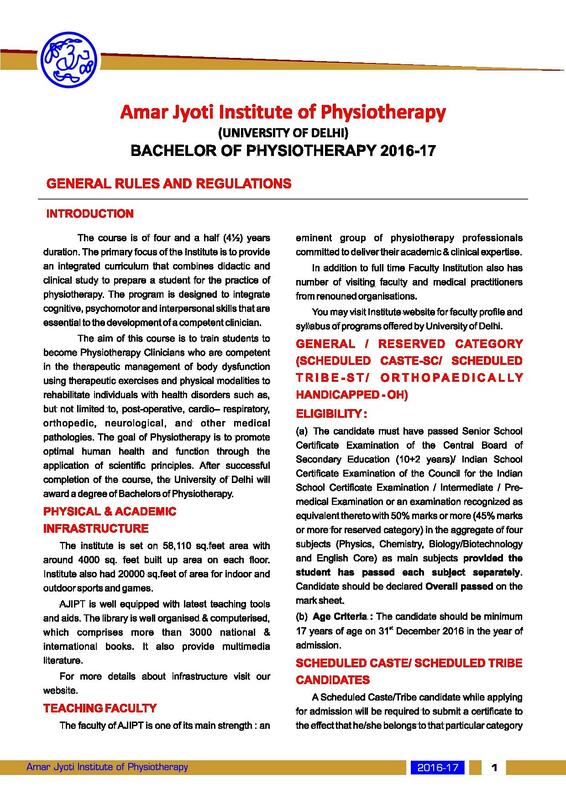 Manifests testimony based proceeding: The students will be able to distinguish, eclectic, and apply relevant research and admissible information in the formulation and implementation of physiotherapy mediations.